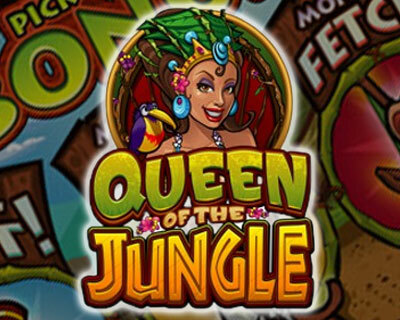 Queen of the Jungle Slot from Microgaming has 5 reels and 9 pay-lines and offers a variety of different games to play and win some decent prize money. The scatter symbols are the passion fruit and the monkeys. 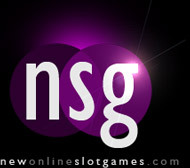 If you should trigger three passion fruits you get 15 free spins which can be re-triggered. A winning pay line is multiplied x3 at pay-out. Trigger 5 passion fruit coconut drinks and you are awarded a multiplier of x200. To get into the Bonus round you must spin 3 Monkeys and you choose a Monkey. Select the Gift Monkey and pick any three of nine gifts giving you the chance to win a better prize. These are returnable if you do not like your prize – don’t worry, you will soon get the feeling of play. Secondly you can play the Monkey Chop where the Karate Monkey chops up coconuts looking for bonus rewards and in the third option, Monkey Fetch, you select 3 fruits searching for your prize. The bonus round can also be triggered during your free spins. The Wild is the Queen of the Jungle symbol and pull up 5 of them and you get the highest pay-out of 3000 coins. All the animals you would expect in the jungle are symbolised here and well supported with some realistic sounds and bright colours. Queen of the Jungle is definitely an interesting game !